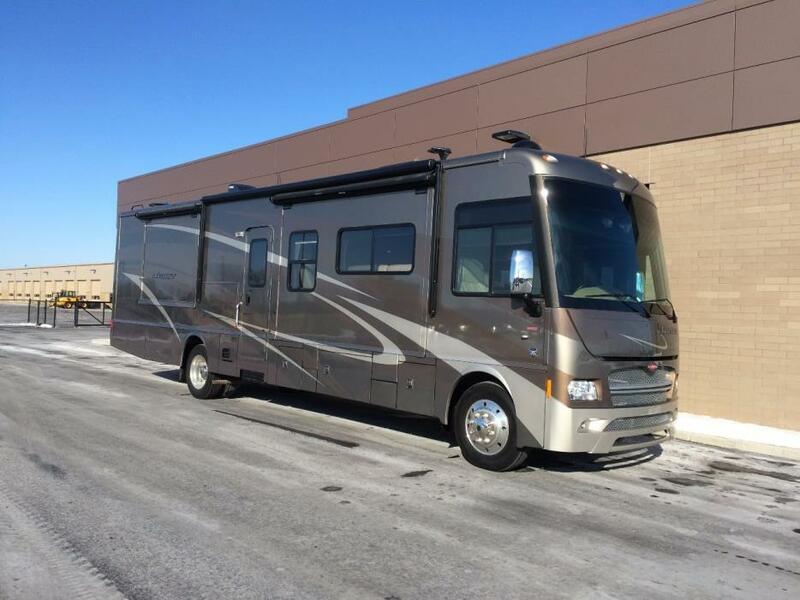 Winnebago Adventurer 37F Class A , 37' Ford F53 24,000 GVW Chassis V-10 gas. 12,500 Miles. Like new, in excellent condition, 3 slides, full master bath & shower plus 1/2 bath, Pinnacle washer dryer, king sleep number bed, way too much to list. Cummins Onan 5000 Generator, Storage galore inside and out. Top of the line model in every way. Serious inquiries/buyers only please, no tire kickers. contact me for original window sticker listing all equipment. NOTE: Video posted is of a similar unit comparably equipped, but NOT the actual unit listed for sale, but is very close and gives you an idea of the quality, layout and overall rundown of the 37F. Contact me to see it in person!